Since a failed coup attempt rocked Turkey back in July, the Government response has not exactly been careful to protect the freedoms of the Turkish people. And once again online freedom is coming under a sustained attack in an effort to stop the spreading of embarrassing emails. The regime of President Recep Tayyip Erdoğan has undertaken a ruthless purge of those suspected of involvement in the coup, and indeed many more who simply oppose his government. Online freedom, which has never been at the top of Erdoğan’s list of priorities has also been under attack, with Government censorship increasing both during and after July’s events. And now they are at it again, in an effort to stop the spreading of leaked emails between Erdoğan and his son-in-law Berat Albayrak, who is also a Minister in his government. The data, which has been leaked by a hacking group known as ‘RedHack’, includes around 60,000 emails, or 17GB of data, includes information on how an army of pro-Government Twitter users attacks any critical comments or opposition online. They also detail the extent of the Turkish regime’s control over the country’s media as well as prove that he regularly uses his personal email account for Government business. ‘RedHack’ threatened to leak all the emails unless the Turkish Government released certain dissidents who are being held in jail pending trial. The Turkish Government’s response was typically understated. Firstly, they banned all media coverage of the leak and made a request to Twitter to suspend the group’s Twitter account. Somewhat surprisingly, Twitter has now done this. But the Turkish Government didn’t stop there. They have now also taken steps to block file-sharing services in the country in an attempt to prevent these emails from being circulated online. Services known to have been affected include Microsoft OneDrive, Google Drive, Dropbox, and GitHub. It has since been reported that Google Drive is now available again, although this is only amidst reports that Google has agreed to take down the leaked emails. This wholesale blocking of services at the whim of the Government is nothing new in Turkey, but it is unusual that there has to date been no government comment on the move. They have also failed to comment on the emails, which ‘RedHack’ have now begun to release, but the actions they have taken as well as some statements made in court in Ankara suggest that they are genuine. Obviously, many people and businesses in Turkey will rely on cloud storage services such as those affected and will have significant amounts of personal and professional data stored on them. There has been outrage among many in Turkey at the moves, but this seems unlikely to sway the government at present. TurkeyBlocks, a website which monitors online censorship in Turkey has reported that it is only the main ISPs in the country which are enforcing the ban and that on some smaller ISPs these cloud storage services can still be accessed. But nevertheless, this will still mean the majority of Turkish citizens remain unable to access their cloud storage facilities without the help of a VPN; a far from ideal situation. It is not the first time Turkey have taken such steps and of course, it won’t be the last. Most likely restrictions will ease in time, once all the emails have been released and the furore they cause has subsided. 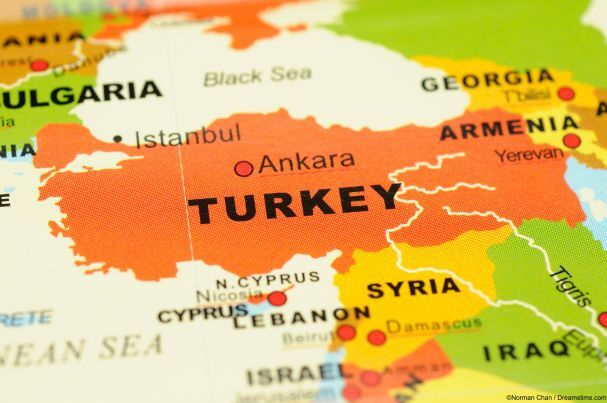 But it demonstrates once again how fragile online freedoms are in Turkey and why so many people are turning to a VPN to ensure they can enjoy an uncensored, private, and secure internet connection.